I’m delighted to have my friend Bethany as my guest today! I first met Bethany through a twitter linkup a year ago and she was so generous with her friendship and her encouragement online. And to have her here being generous and encouraging and real with her words today is the best way I could think of to start my week! Will you give her a warm welcome and share her words with someone today? There are days life is a mess. Like the morning I spilled three glasses of water, got hot chocolate all over my clothes, ripped my lunch bag and forgot my needed sweater. The mess got to my heart next. Within the hour I was at work in a special needs classroom. A student, twice my size, was spread out starfish style on the floor throwing a fit. My heart was flustered, unsure of how to help and what the student needed. He brought up a truth that my clumsy butterfingers and flailing heart try to cling to: my mess is still His order. I believe God’s order often looks like a mess to us. We determine that unexpected things mean chaos. When things don’t go our way or we don’t see any point in the basic sloppy nature of day-to-day living, we feel like all is disastrous mess. But the “mess” He gives us is neatly organized within His will. We see the “mess” of it because our insufficient outlook distorts things. That’s why so many of His commandments seem upside down and backwards. Because we respond based off of our limited perception, students’ fits on the floor make us want to join in, not help out. Short-sightedness makes dabbing spilled cocoa out of clothing seem more important than speaking kind words and saying goodbye to the loved ones who watch us tear out the door each morning. Orderliness isn’t about pretty and sanitary like we believe it to be. Order, designed by God, is about priorities. Priorities determine how order is organized. All that is truly done to glorify God is done prioritizing Him. Our whole lives –every bit of them- are ordered according to God’s great plans because His will is the top priority. We live (in fact, we were created!) in His will. There is no greater peace than trusting and living according to His will because that is what we were made for. That’s what our days were ordained, for. Sin takes all that’s outside of our control and all of our failings. Our shortsightedness derives from that sin-perspective. It heaps it together like a lopsided scarecrow warning us: it’s messy over here, stay back. Our mess is God’s order. If God created us, then the God who never makes mistakes created a living, breathing, beautiful mess. If God has plans for us and they began years ago (not tomorrow or the next day), then the God of all ordained even the craziest of days for purposes only He can fathom. If God holds our times in His hands, then He must be alright with showing up a few minutes late. Because sometimes part of our mess is loving people who are more important than being on time. If God created all this that through our lenses of sin (self, gain, etc.) looks like a mess, then He is holding it all together. And using it for His glory. His order, His priorities. Souls always come first. Spilled cocoa and full-blown fits might feel like disaster to me. But in the hands of the one who holds the time, plans my days, and created this thankful, sloppy soul, all is well if His priorities reign. My prayer is that you and I would believe in His order being the best. That we would seek His priorities as we slip on spills and stumble in awkward situations. I pray that the next tantrums we face (whether our own or another’s) would be met with the sort of upside down love that is right in line with the Lord’s will. 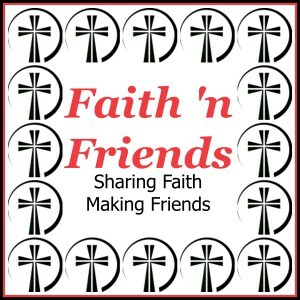 Sharing with the linkup today with Jennifer Dukes Lee’s #TellHisStory and this week with #CoffeeForYourHeart with Holley Gerth too! A learner at heart, Bethany McIlrath believes that listening to the Lord’s Word and being attentive to all that He teaches her through daily life is a priceless blessing. Eager to share about her Savior, you can find Bethany’s writing on her blog: First and Second Blog. She would love to connect with you on Twitter or Facebook as well. “If God created us, then the God who never makes mistakes created a living, breathing, beautiful mess.” Yes!!! Bethany, I think you and I could talk for a nice long time about the difference what you’ve written here can make in a person’s life. 🙂 And Christine, I wish I could hear your thoughts in such a conversation as well. What a thought-provoking (and comforting) way to start off a Monday! We would talk about this for hours, I think, lol…. so grateful for Bethany and yourself today! Thanks so much for inviting, sharing, and encouraging me Christine! This has been so encouraging to me this morning, Bethany. My life is looking very messy right now and you have given me such a wonderful change of perspective. Thank you! I’ll be taking this simple and true statement with me: “But the “mess” He gives us is neatly organized within His will.” Perfect :). So glad, Candace! I hear you, mine too. The Lord has to change my perspective, too! Take and own the phrase- it’s His truth : ) Enjoy the blessings, friend! Thank you for this comforting post, Bethany. It moves me to tears. “But the “mess” He gives us is neatly organized within His will.” So profound. Something I must write within my heart. Blessings and hugs to you and Christine! Thank you, Trudy!! I’m so grateful the Lord is teaching me this and that He is writing it on your heart, too! Hugs back! Oh boy is this timely in my life! Sharing this today, thanks Christine & Bethany! Thanks Meghan! What a blessing that the Lord is using this message in such a timely manner! Delighted to be your neighbor at #TellHisStory today. I especially loved: “Order, designed by God, is about priorities.” And to remember that starts with souls. Thank you, Bethany! Delighted to meet you, Stephanie! His priority is souls : ) So thankful for that! God is all about order, not chaos. It’s us that generally make things way messier than they are! Excellent post, Bethany! I’ll be sharing this!! Thanks, Liz! And haha. So agreed. I love all the ‘ifs’ . It got me into reflection. God orders our lives, our footsteps and our all…safer to trust Him. Thank you Ifeoma!! Those “ifs” mean so much to me since I always feel like “conditionals” might alter the truth. PTL they can’t! Hugs and blessings to you, too! “Our mess is His order” – priceless. Glad we are neighbors at Jennifer’s today (#32). Great point, Leah!! Haha : ) And thank you! Your words continue to bring my heart into focus on that eternal perspective. We do so often have the wrong yardstick when we measure the “goodness” or “badness” of a day! Thanks, Bethany, and many thanks as well to Christine for bringing this post into your space today! Yes, thank you Christine!! And thank you Michele! : ) I love the yardstick word image! Girl! What a great post!! I am a (need-to-be-recovering) perfectionist! My idea of order is everything HAS a place and everything IN its place. No one in my family is like me…which leaves LOTS of room for God to work. Of course there is a difference between the mess in my living room and the mess in our lives … but when I can relax about the mess in my living room, I can so much more accept and appreciate the beautiful mess that is my family and our messy lives. Baby steps : ) I’m with you! Recovering perfectionists! Thank you for the encouragement! Thank you so much, Mary!! What a blessing! Beautiful post! His order IS best, even when I throw my own tantrum, this can be my reminder. The tantrums are fewer these days, but still…. It’s a joy to follow you this week at Jennifer’s. Love your words and your authenticity! Thank you.